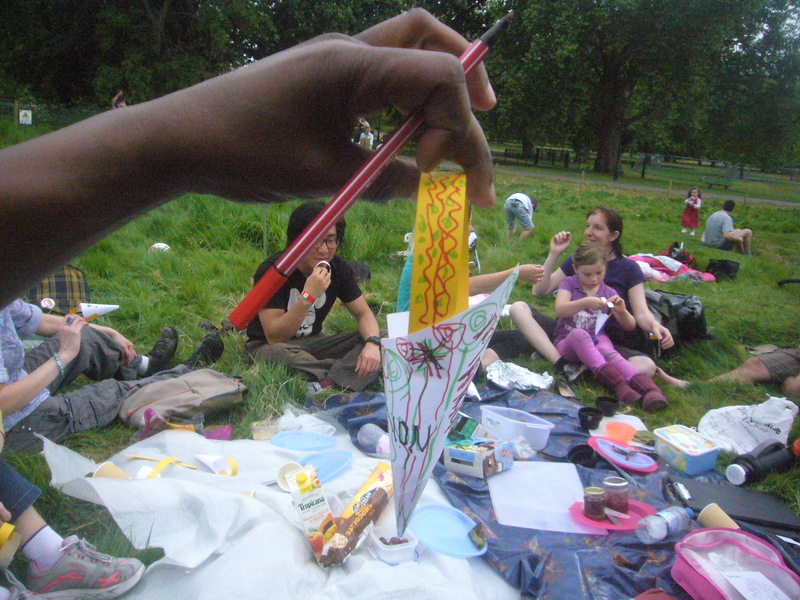 On Saturday 7th May, around 25 people gathered for the monthly Invisible Food walk. 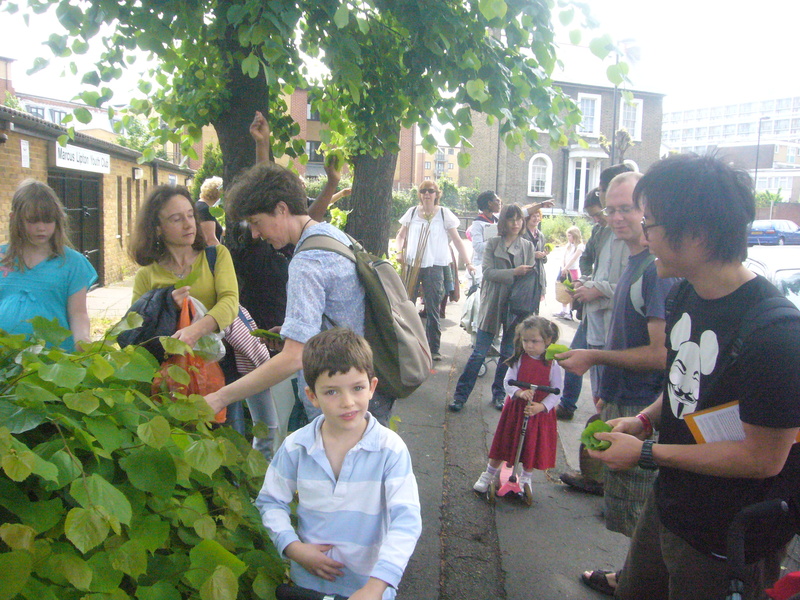 We stopped off outside the Marcus Lipton youth club to gather fresh lime leaves to stuff later on. 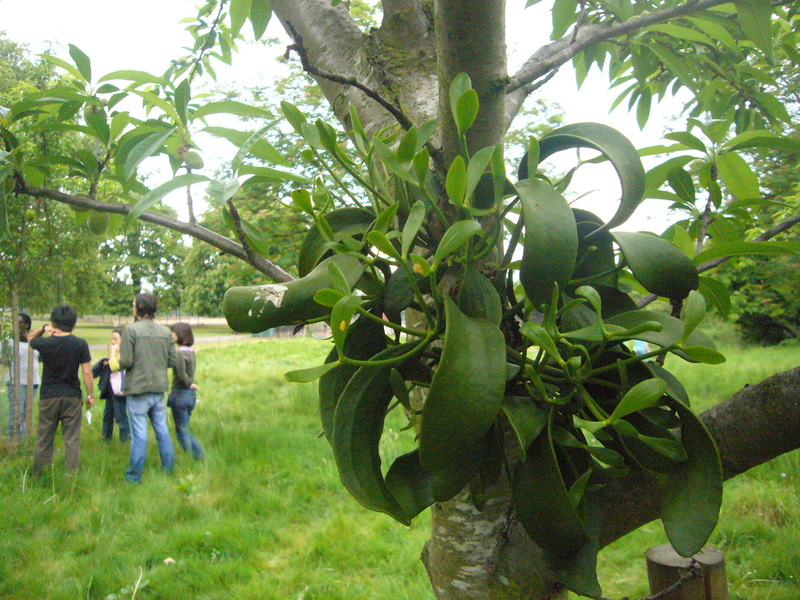 We collected the lightest ‘lime’ green ones, not the older, tougher ones. We moved onto Elam Street space to see how the trees we planted recently with Grove Adventure Playground are doing there. It’s been very dry but most of them are doing well. The hazel are adapting the best and the dog rose are looking the most parched. Some of the trees may need to be replanted in better locations. We used a windscreen wiper to stake a tree when we’d run out of canes. Handily available from the mechanics arches opposite. Stuffing lime leaves, the key is to not put too much stuffing in! We tried them all at once. The children were curious. Most responses were positive! May baskets were traditionally filled with may flowers and hung on a neighbours door as a surprise. 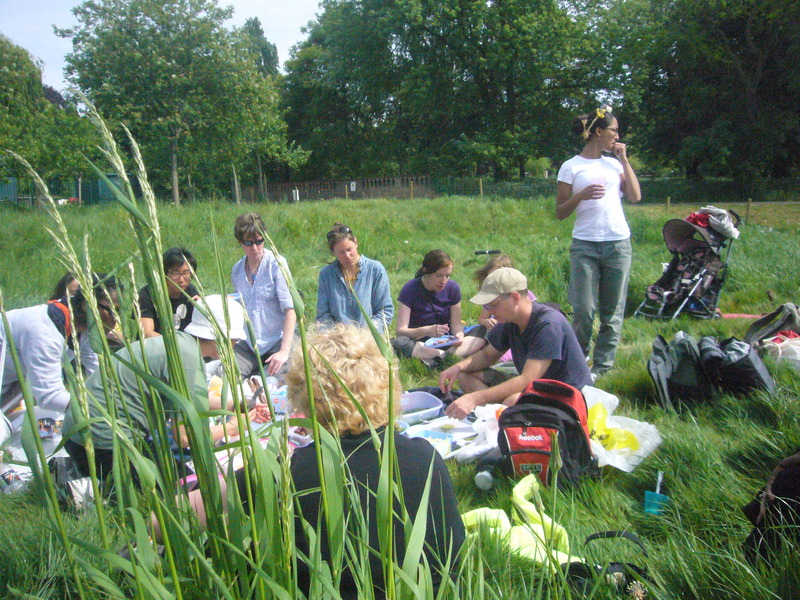 Some of the participants from the Spring training day were around to continue to develop their plant id and knowledge with you. 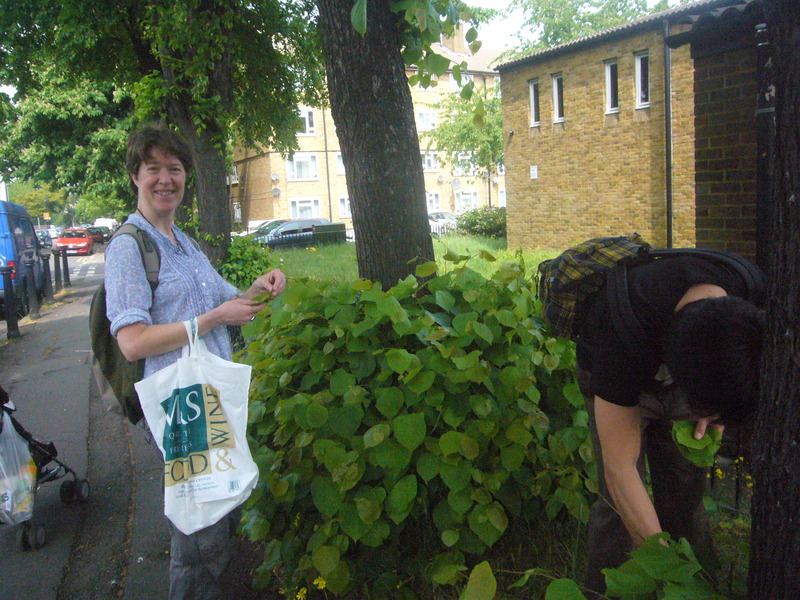 We discovered 12 plants in the area to work with and learn about: elder, nettle, mouse ear chickweed, plantain, blackberry, horseradish, daisy, clover, thistle, dog rose, cleavers and dandelion. 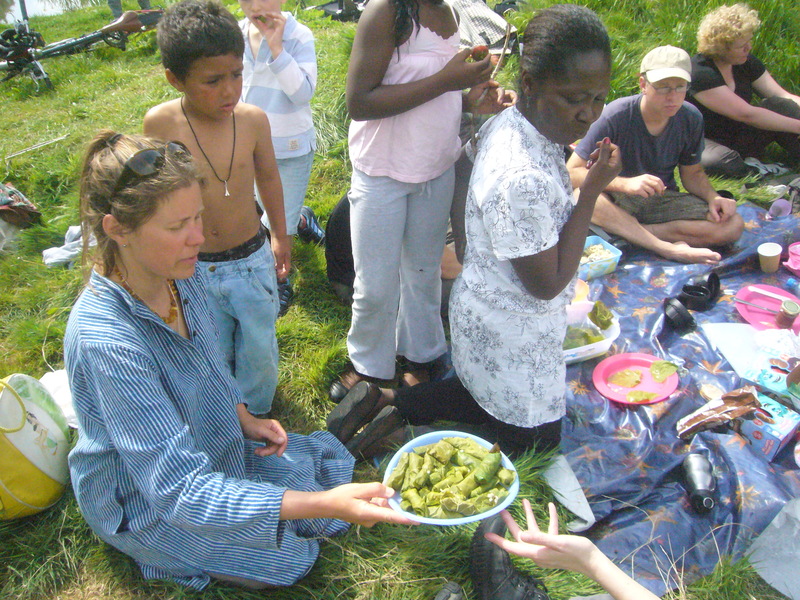 “Invisible Food is a skill share. 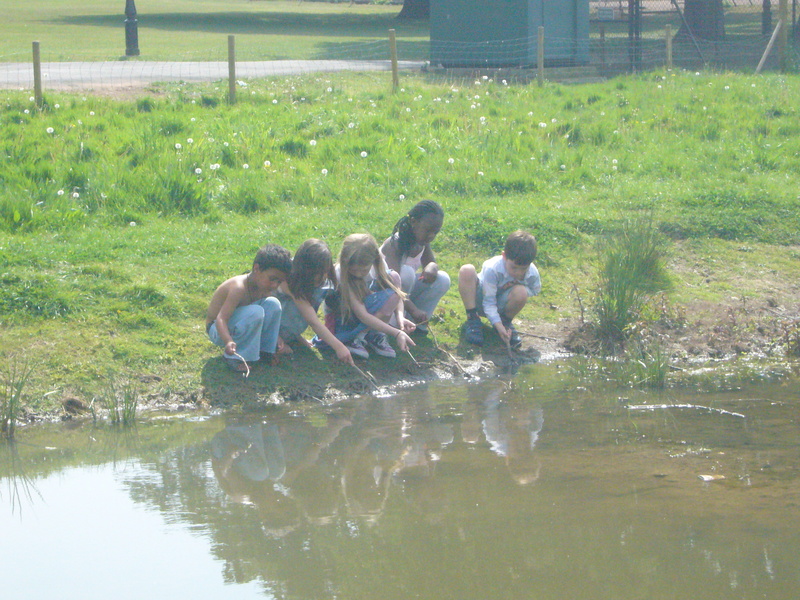 We operate without an expert to increase our skills, resilience and self-reliance. We act safely, responsibly, exercising common sense, self-help, and helping each other with respect and tolerance. We used lime leaves to stuff. 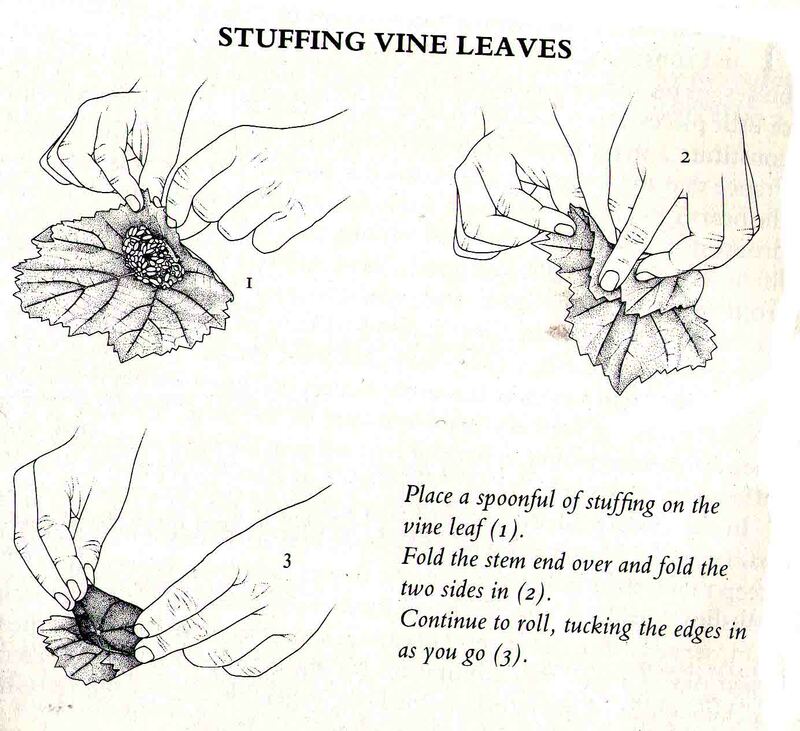 Here is a diagram of how to stuff traditional vine leaves from Claudia Roden’s book Mediterranean cooking. Cut the thickest stalks from the elderflowers and tie them in a square of muslin, put the bag in the bottom of a large mixing bowl. cu the rhubarb and pile it on top of the elderflowers. Add the sugar over the rhubard and cover the bowl tightly with a weighted plate. Leave for 12 hours. Open and stir. Leave for another 12 hours. Put the contents of the bowl into a large saucepan, heat gently to dissolve the sugar but do not allow to boil. Cool a little and return to the bowl for another 12 hours. Covered tightly again. 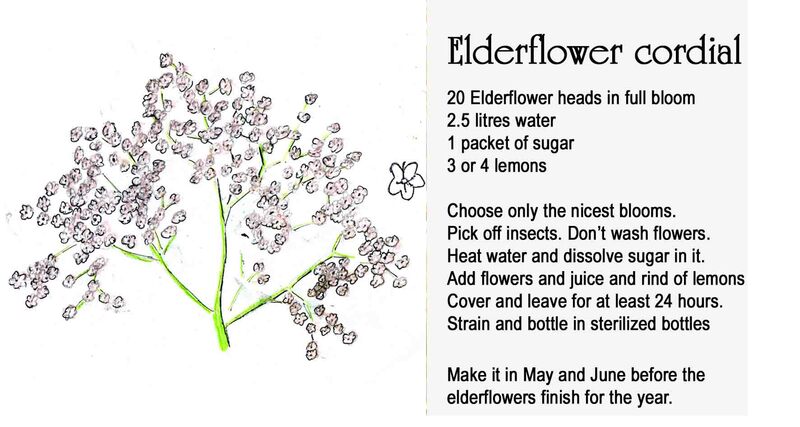 Then take out the elderflowers, tip the rhubarb into a saucepan, add the lemon juice and bring slowly to the boil and stir. Boil rapidly for 10 mins until the jam wrinkles. Pour into warm dry jars, cover with waxed circles when hot. 1. Wash and chop the plantain leaves. Divide into two – put one half in a bowl and the other half in a pan. Cover the plantain in the bowl with the water and leave to infuse for 10 minutes. 2. In the pan, add the olive (or sunflower) and almond oils to the plantain and heat gently to simmering point. Don’t allow to boil – if it starts boiling, take off the heat immediately. Once at simmering point, remove from the heat and leave for 10 minutes to cool. 3. Drain the infusion, taking out the plantain leaves. Set the liquid to one side. 4. Drain the infused oil into another pan, extracting the plantain leaves. Heat the oil again. Add the beeswax and emulsifying wax and melt, stirring – you are aiming for a foamy consistency. 5. Add 16 tbsp infused water to the pan and whisk to achieve a consistency like salad dressing. Add the glycerine and vitamin C powder. 6. Pour into sterilized glass pots and seal. 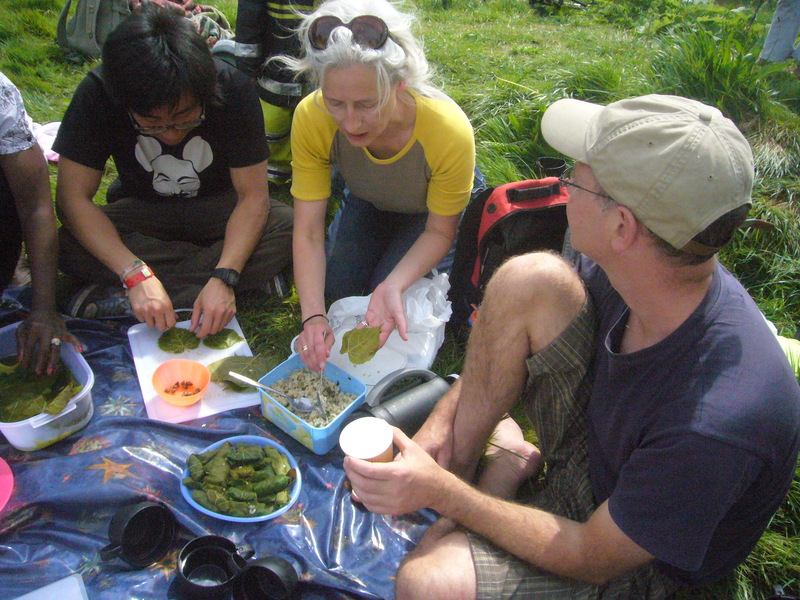 In April, we collected wild herbs for a spring tonic soup and sang songs from around the world with Shilpa Shah.